"There's one more thing… you can talk to animals." Viva Pictures has debuted a new full-length official US trailer for an animated film titled The Son of Bigfoot, produced by StudioCanal in France, and animated by nWave Pictures in Belgium. The film is aimed towards younger kids and families, and is about a boy who goes "on an epic and daring quest to uncover the mystery behind his long-lost dad, only to find out that he is none other than the legendary Bigfoot." Surprise! Don't confuse this with the other animated bigfoot movie coming out this year - Smallfoot - which is made by Warner Bros. The voice cast for Son of Bigfoot includes Cinda Adams, Mari Devon, and Kirk Thornton. This really looks really bad, and I always wonder how animation this awful still gets made, because it seems like no one even tried to make a good movie. Oh well. You can still watch the first UK teaser trailer for The Son of Bigfoot here, for a bit more footage from this. Teenage outsider Adam sets out on an epic and daring quest to uncover the mystery behind his long-lost dad, only to find out that he is none other than the legendary Bigfoot! He has been hiding deep in the forest for years to protect himself and his family from HairCo., a giant corporation eager to run scientific experiments with his special DNA. As father and son start making up for lost time after the boy's initial disbelief, Adam soon discovers that he too is gifted with superpowers beyond his imagination. But little do they know, HairCo. is on their tail as Adam's traces have led them to Bigfoot! 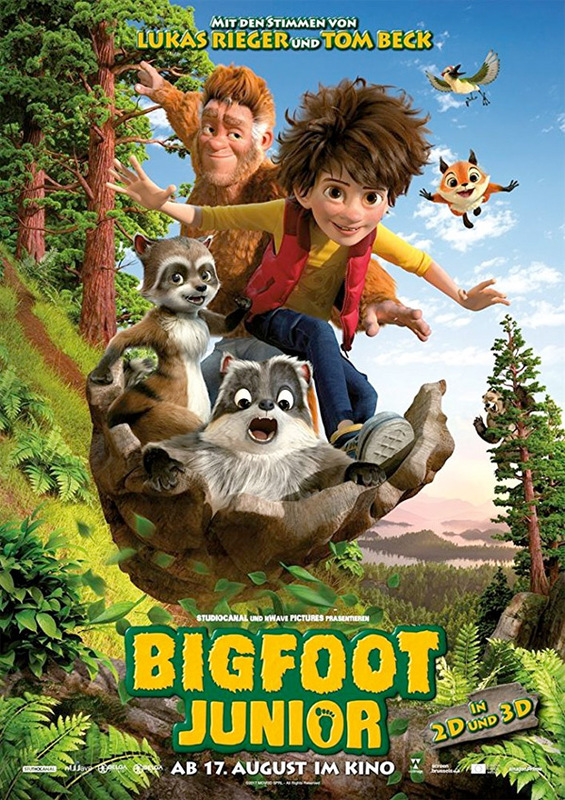 Son of Bigfoot is directed by animation filmmakers Jeremy Degruson & Ben Stassen, both of whom directed the film Thunder and the House of Magic previously. The screenplay is written by Bob Barlen and Cal Brunker. The Son of Bigfoot first opened in the UK last August. Viva will release the film in select theaters + on VOD starting May 4th.